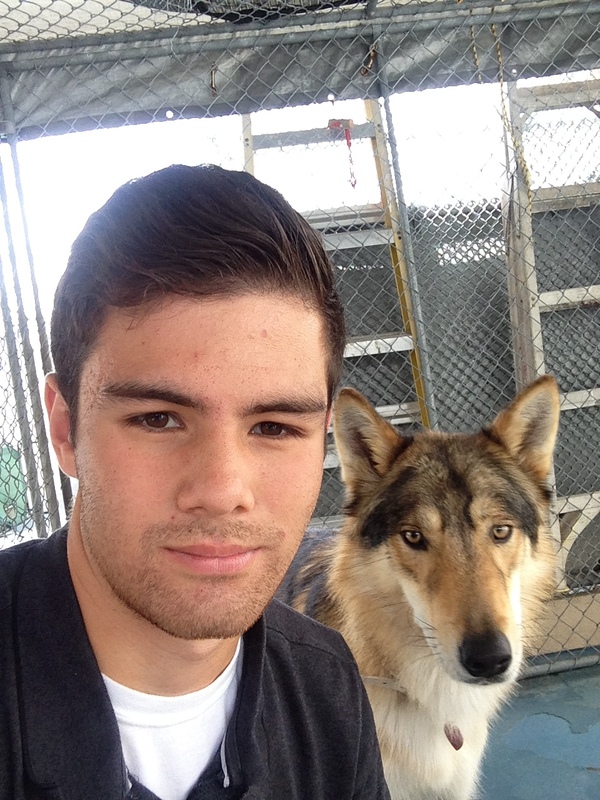 I started volunteering for NorCal Family Dog Rescue (NFDR) in San Francisco in the summer of 2013. A high school project on wolf hybrids reignited my passion for dogs. I used to own two dogs, but other commitments led me astray from dedicating my time to canines. So, with a summer’s worth of time on my hands I looked for a shelter in order to help out. NFDR quickly caught my eye and after my orientation I found myself volunteering spending many hours there each day. Bear, an Alaskan-Malamute/Husky mix stray from Fresno, California, changed my life. He possessed all of the traits standard to the breed such as a calm disposition and a high level of independence. But, his intelligence simply stunned me. Looking into his eyes, only one word came to mind: deep. Never before did I think a dog could reach such high intellectual levels. We bonded right away because I would walk him for a minimum of one hour. 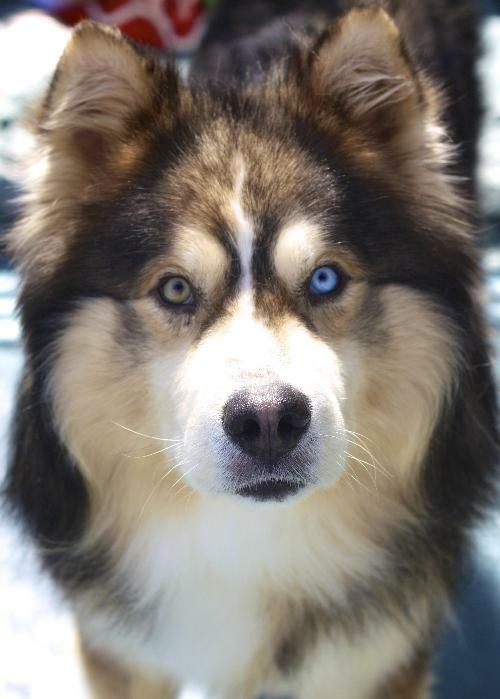 Nothing made me happier than showing up at his kennel, with leash in hand, and hearing a primal howl to the sky that reminded me so much of a wolf. When his eventual owner adopted him, it left me in tears to see him look back at me one last time with an expression that said, “Goodbye. It was one hell of a summer.” But despite my selfish feelings of sadness from seeing him leave, I knew it was for the best. After all, these dogs need a home. Experiences like that make volunteering easy and rewarding. These dogs crave our attention and affection more than humanity will ever understand. The relationship between humans and dogs dates back thousands of years. Humans used dogs for the sake of survival and labor, but we now live in a world where that affinity runs much deeper than that. While certain canines still maintain their original purpose, we now view them as companions, almost as equals. Unfortunately, due to a variety of reasons including unethical breeding, poor ownership, and media manipulation, millions of dogs find themselves homeless on our planet. NorCal Family Dog Rescue (NFDR), a nonprofit organization based in San Francisco, California, works hard each and every day in order to find these stray dogs a place they can call home. NFDR’s origin started with the life of founder Angela Padilla. A Harvard alumna, Angela possesses a warm, loving, and happy personality. Her positive outlook stems from overcoming one of the toughest challenges a human can face. 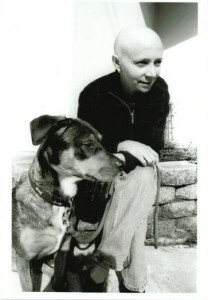 In July 2002, Angela was diagnosed with a life threatening form of breast cancer. The disease impacted her physically, mentally, and emotionally. After an initial struggle, it appeared that she found a way to cope with this life setback. According to Angela, “During radiation I would go to a shelter everyday and I really felt that the dogs inspired me to keep fighting and to stay alive.” This statement, besides providing a moment of inspiration, highlights the importance of these animals in our world. According to the United States Dog Registry, interacting with dogs can help with the following mental and physical conditions: anxiety, depression, bipolar disorder, mood disorder, panic attacks, fear/phobias, Post-Traumatic Stress Disorder, and suicidal thoughts/tendencies (USDR). 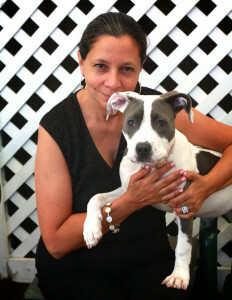 Angela in 2014 pictured with a pit puppy. Angela’s story has helped to attract employees, volunteers, and adopters alike. However, what differentiates NFDR from other shelters is not a great narrative, but rather, providing an innovative service. 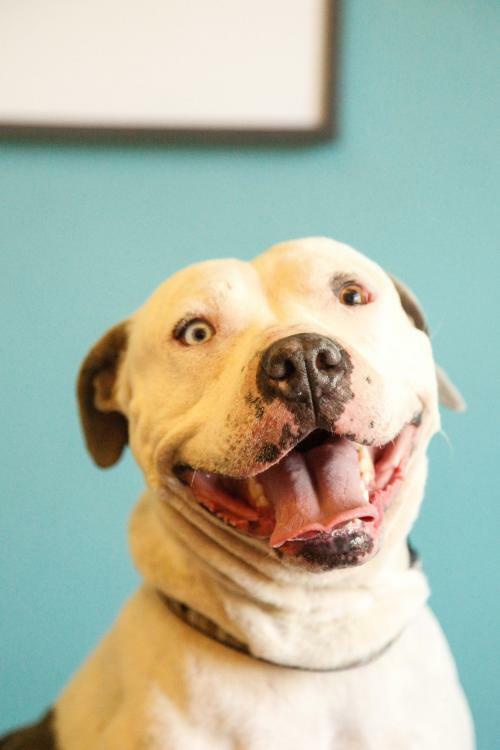 First, the organization is a no-kill shelter meaning it does not euthanize any of the dogs inhabited in the shelter. This is in stark contrast to many shelters throughout the country, where an estimated 3.9 million dogs are house each year. Of those 3.9 million, approximately 1.2 million are euthanized, according to the ASPCA. The dogs themselves represent the unique commodity that defines NFDR. Angela possesses a “strong affinity for disabled dogs, blind dogs, deaf dogs.” According to her, “NDFR has now uniquely become the rescue group that helps those kinds of dogs.” They even take in dogs from Mexico and Guatemala! La Guera, a pit-mix stray from Tijuana, Mexico. While she admits at times that she “pushes the envelope a bit,” in terms of taking in sick dogs or dogs with behavioral issues, this is because NDFR strives to provide these dogs with the best care and comfort. A new addition the daily operations of the shelter is the dog enrichment program. This program allows employees and volunteers to give and record the dogs participating in at least three enrichment activities a day from a list including the following activities: a walk, a run, grooming, training, downtime, or a chewie. Though providing the dogs with a temporary home is the main objective, NFDR goes the extra mile. Though NFDR exemplifies success, the organization is not resting on its laurels and looking to evolve even further. As Angela notes, “I don’t want to duplicate efforts. I don’t want to be a mini SPCA or a mini rescue group.” Continuing with the theme of dog welfare, NDFR recently started the Olympic Running Club, a program in which runners come in twice a week and take the dogs for runs spanning from three to five miles. Also, the institution caters to the San Francisco Bay Area community that cannot own dogs. After partnering with DOGO, a San Francisco based organization, volunteers can come to NFDR and “check out a dog for the day.” This service mutually benefits those that cannot own dogs by allowing them to take a dog on a trip to the beach or park, and the dogs themselves as they are away from the shelter and can destress. It also provides NFDR the chance to learn more about the dogs, as the volunteers provide feedback. As for the future, Angela desires expansion of the organization as well as helping solve the problem at its root. This entails educating the public about proper ownership and going to areas with lots of homeless dogs, such as Central California, and spaying and neutering these dogs. Overall, it is not difficult to understand why NFDR is special to me. This organization is a class act, with a mission statement and value system that transcends into making the lives of humans and dogs better. I have spent many years volunteering there, and I love every single moment of it. Below is a video that offers further insight into the organization.